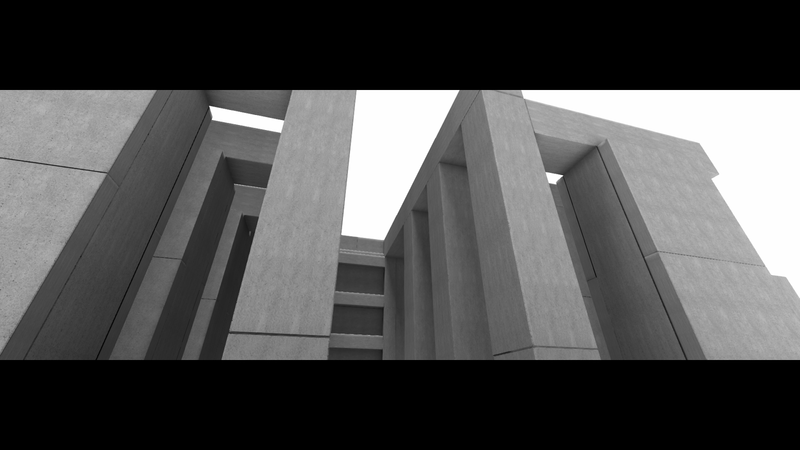 The other day in level design class, a student brought up Moshe Linke's "Brutalism: Prelude on Stone" for discussion. What does it mean to re-create / re-construct / build a brutalist building in a video game? To review, brutalism was a design ideology deployed mostly in public architecture from 1950-1970s throughout the world, exemplified by large blocky concrete structures in Soviet Russia and/or brick housing developments across Europe. For the last 2-3 decades, people have criticized brutalism mostly as a cold, ugly, overly institutional style that ignores local communities and human warmth -- and recently that's been amplified by various material and technical critiques of brutalism (poor weathering and staining; environmental impact of concrete; seismic issues; etc) -- but now that we've started demolishing iconic brutalist buildings around the world, there's been a resurgence in defending brutalism before it becomes extinct. Given that brutalism faces a real existential threat, and it is so heavily focused on the real-world material aspects of architecture, does a digital brutalism make sense? The student argued that Linke's virtual brutalism, then, is a perfect idealized representation of brutalist architecture. Here, there is no unsightly staining, no environmental decay, no protests against any misguided associations with totalitarianism. Instead, freed from the messiness of human society, this platonic brutalist structure can now stay pristine forever. What is a video game level's intended "function"? We are not necessarily building "machines for living in." The task function of a level will differ from game to game, but let's imagine you were making a level for a game like Battlefield: Bad Company 2 or for Rainbow Six: Siege -- then you would be designing a sort of anti-building -- a building that exists only to be destroyed as part of the gameplay. The purpose of every building is to age and decay, and these games are merely accelerating that aging process. But are these buildings actually being destroyed, or even decaying? When you restart the game, the virtual building will reset itself back to its pristine condition, as if nothing ever happened. This is not destruction in any meaningful sense. This is not really a threat to the virtual building, it is merely doing what it was supposed to do, and it can re-assemble itself with no trouble at all. I'm told that brutalism comes from the French for "raw concrete" (béton brut). It could be said that, above all, brutalism emphasizes a sort of rawness. So we have to consider the raw material of the video game level itself. That is, video game levels are not actually made of steel and concrete. Instead, they are made of triangles and vertices, interpreted by a game engine that pushes geometric data through the graphics card in your computer. To consider what raw game geometry looks like, I'm a big fan of Claire Hentschker's work Shining360 -- she took stills from the famous horror film The Shining and ran it through a photogrammetry engine to produce these eerie 3D worlds. I think her work exemplifies digital brutalism in a technical sense: these are fragments of fictional places that aren't pretending to be fully-realized places. These polygons are not pretending to be concrete, but they function as the digital equivalent of unadorned concrete. They are "raw polygons" that get rasterized into "honest pixels." To us humans, it also resembles a ruined world that is already shattered. But remember that the computer does not care whether the house looks like a complete house, it will render it anyway. To address this question of virtual destruction, we must ignore our fragile human notions of spatial coherence. To destroy a place in peoples' minds, it is easier to simply destroy the road that leads to it. Make sure the data is forgotten, lost, or irretrievable. We have already done this countless times in the history of video games -- hundreds of thousands of Web 1.0 games, Flash games, and Unity Web Player games have been rendered inoperable by all major browsers; more copies of the data don't matter if no one can use it anymore. In the same way, the virtual world of EverQuest (and countless other "dead" MMO worlds) has been completely destroyed, because there's no servers to run it anymore. The polygons are still there, you can still probably pirate EverQuest as much as you want -- what is "gone" is the network architecture, which maybe represents the "real" digital architecture that we were using the whole time. In this way, digital architecture seems much more fragile and ephemeral than real-world architecture. It is easier to disconnect it, and isolation is basically destruction. When its servers were shut down, the fantasy MMORPG Asheron's Call was not destroyed with a bang -- but a whimper. What is the raw material of a video game? As game developers, it is tempting to say something like "code" and "gameplay". However, that thinking falls into the same trap that the tech industry deploys; Facebook's main product is not Facebook, but rather it is the systemic surveillance and selling of its users' data. Similarly, if we place all the ownership and materiality of a game in its engine and assets, that ignores how players routinely pour their blood and tears into game communities. And when the blood and tears eventually dry up, the resulting patterns of stains are absolutely gorgeous. Level With Me: Dear Esther (2012), complete!